This is part of our ongoing series about where taxpayer funds from 2016's Measure AA to restore the San Francisco Bay are going. Find all the stories here. At Sears Point, just off of Highway 37 in Sonoma County, the Sonoma Baylands tidal marsh restoration site has been attracting some wildlife it hasn’t seen in decades: the Ridgway's rail and the salt marsh harvest mouse. Both are federally listed endangered species. “They've been a big driver for a lot of the restoration,” said John Parodi, a restoration manager with Point Blue Conservation Science. Parodi says both the mouse and bird were spotted in the lush, green wetlands of Sonoma Baylands just last year. The conservation group has been restoring habitat for these two species and other native California animals in this area for nearly 12 years. Now, with the help of $2.6 million from Measure AA, Point Blue is looking to make four more sites throughout Marin and Sonoma counties attractive habitat for these animals. One of them is just a stone’s throw away from Sonoma Baylands. 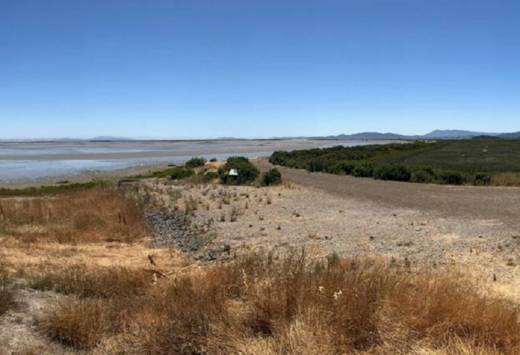 The San Pablo Bay National Wildlife Refuge is separated from the Baylands project by the dirt track of the San Francisco Bay Trail. Parodi says the goal at the refuge is to build what’s called an upland transition zone, gently sloping wetlands that connect to existing levees, along degraded shoreline. These transition zones make it easier for wildlife to migrate to higher land during storm surges or flooding. 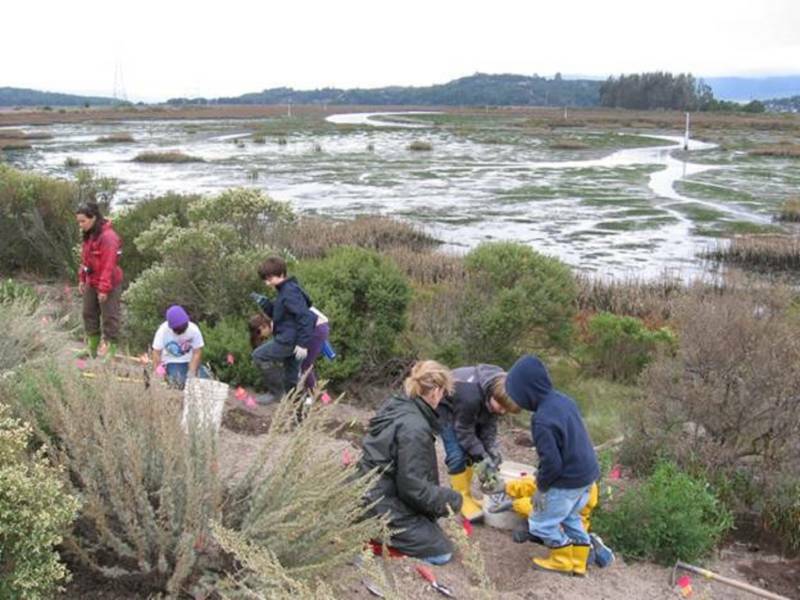 Students and teachers in Point Blue’s STRAW program help reintroduce native plants at Sears Point. The program has been restoring wetlands in the Bay Area for over 25 years. Restoration at Shollenberger Park and McNears Landing in Petaluma and Pickleweed Park in San Rafael will also address similar issues. Parodi says, money will also be used to fund its environmental education program STRAW - or Students and Teachers Restoring A Watershed. The program works with about 200 schools around the Bay Area and the students become the core of STRAW's restoration teams. For the Measure AA projects, STRAW will get help from more than 5,000 students, teachers and other volunteers in the North Bay. Why get school children involved in all this dirty work? Parodi said it’s important to get young people involved in environmental stewardship because it essentially molds the kids into political stakeholders. And eventually, they'll be able to vote on restoration initiatives, like measure AA, in the future. But, Parodi said, the support from today's Bay Area voters is still very inspiring.